LAUSANNE, Switzerland, Breaking – SportAccord today announced the launch of its new regional event bringing SportAccord to Pan America. The 3-day event will enable international sports federations to gather with key players and stakeholders from the Pan American region to further develop their sport. The event will run from 10-12 December 2019 at the Greater Fort Lauderdale / Broward County Convention Center in Fort Lauderdale, USA. 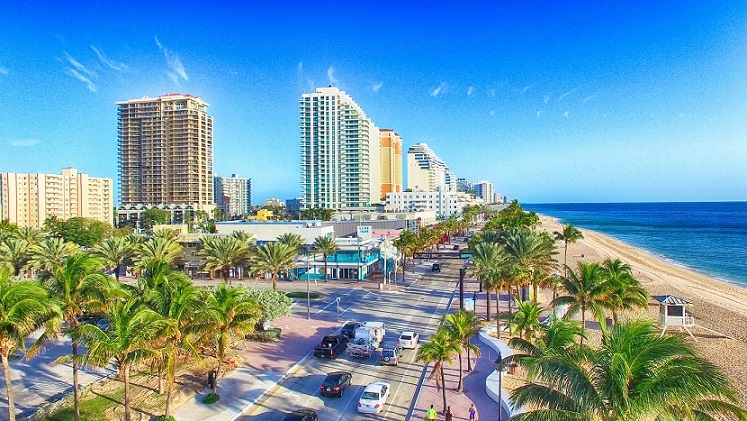 “It is a privilege and honor to be the host destination of the inaugural Regional SportAccord Pan America conference to be held on the sunny shores of Greater Fort Lauderdale. “The concept is a fantastic opportunity for international sports federations to grow their sport at national and grassroots levels, in regions that they may not be familiar with. From the seagrass to the sawgrass, Greater Fort Lauderdale, located in Broward County, Florida, USA, boasts more than 34,000 lodging accommodations at a variety of hotels, luxury spa resorts, and Superior Small Lodgings reflecting a vibrant cosmopolitan vibe. Visitors enjoy 23 miles of Blue Wave certified beaches, discover 300+ miles of inland waterways that run from the Intracoastal Waterway to the Everglades, dine at thousands of restaurants and eateries, get immersed in a thriving arts and culture scene and indulge in top shopping. Get social and engage with Greater Fort Lauderdale on social media channels including Facebook, Twitter and Instagram: @visitlauderdale.